This episode features a conversation with composer Marc Satterwhite. Marc's music has been performed worldwide by ensembles including the Boston Symphony, the Utah Symphony, and new music luminaries eighth blackbird and the Pittsburgh New Music Ensemble. He is currently Professor of Composition and Music Theory at the University of Louisville School of Music, where he also directs the Grawnemeyer Award for Music Composition. We chatted about his transition from a professional bassist living and working in Latin America to professional composer and academic, his compositions inspired by the photography of Flor Garuño, his take on the creative life, and much more. This episode features an in-depth conversation with Zen monk, writer, and punk rock musician Brad Warner. We focused on his new book, "Don't be a Jerk," which is an entertaining, yet insightful paraphrase and commentary on the 800-year old Zen Buddhist text, The Shobogenzo, by the Japanese Zen monk Dogen. We also talked about meditation practice and how it relates to creativity. Check out all of Brad's books! Composer Jeff Herriott describes his music as “sounds that shift and bend at the edges of perception.” Much of his work is delicate and unhurried, music that often explores repetition and subtle variations. Recently, Jeff composed music for the film Bone Tomahawk, which was written and directed by S. Craig Zahler and stars Kurt Russell. He currently teaches at the University of Wisconsin at Whitewater, where he coordinates the Media Arts and Game Development program and teaches courses in audio, multimedia, music technology and composition. With an interest in the expressive capabilities of sound, composer Steven Snowden's work includes acoustic and electro-acoustic music, sound-collage, live electronic improvisation, interactive multi-media installations and many things in between. With deep roots in American folk, bluegrass, and rock music, Steven's work seems to me to spring forth as a freshly invented American sound. We chatted about his new work commissioned by the Fifth House Ensemble in Chicago, Voices from the Dustbowl, his composition for percussion and electronics, Long Distance, as well as his experiences living as a freelance composer. Currently based in Austin, TX, Steven is also the co-founder and co-director of the Fast Forward Austin Music Festival. Monica Pearce, currently based in Toronto, is a composer and the co-founder of the Toy Piano Composers, an emerging composers collective. She also serves as Executive Director of The Music Gallery, Toronto’s Center for Creative Music. We discussed some of her latest chamber music and her work with opera, writing for the toy piano, gender issues in music, and her work as an arts administrator. Here's a link to the full recording of her new percussion quartet, chain maille. This is the premiere performance by the Sam Houston Percussion Group at Sam Houston State University in Huntsville, TX. While primarily a composer and vocalist, Amanda Schoofs takes a decidedly interdisciplinary approach. Her work encompasses a set of diverse practices including improvisation, painting, drawing, printmaking, poetry, installation and movement. We chatted about her process and work, improvisation, teaching (Amanda is on the composition faculty at the Peck School of the Arts at the University of Wisconsin-Milwaukee), and her ideas about sustaining a creative practice. This week's episode (the first of what I'm calling a Supplemental Episode) features a long form interview submitted by one of my previous guests, Atlanta-based artist Craig Dongoski. Craig speaks with art students/collaborators who participated in a project combining art, music (free jazz), and film: Drawing Through. Make sure to check out Larry Clark's groundbreaking film of the same title, Passing Through. In a break from my normal format, this episode was entirely produced by sound artist/designer Tim Prebble. Based in New Zealand, Tim runs Substation, a sound design studio, and has created a large sound design library called Hiss and a Roar. He has a number of feature film credits (check them out on IMDB), but has recently been making his own works using sound, photography, music, and more. This episode takes us on a journey through sound to reveal insights into Tim's work and his deep creativity. Make sure to also check out his blog, Music of Sound. This episode features a conversation with Miguel Isaza, a composer from Medellin, Colombia who is dedicated to sound, both in research and in practice. His electronic music explores expansive sonic terrains through the use of field recordings, sine waves, and various acoustic instruments. We also talked about our shared interest in the practice and philosophy of Zen Buddhism and meditation. John Roach is a California-born, Brooklyn based artist who, in his own words, is most happy when he is, "jamming things together that don't seem to fit." He works in a variety of media including sculpture, video, installation, internet collaboration and sound art. John is an intensely curious person, which comes across in his art. Whether he is using robots to create a live score for musical performance, harnessing the power and fluctuation of the internet to drive a sound composition, or building instruments from rubber bands, he is often setting processes and procedures to work that produce interesting and indeterminate outcomes. In this episode we discuss many of his works and various collaborations, which is a key element of his practice. Drawing on his long-time teaching career at Parsons: The New School for Design in NYC, John has excellent insight and perspective on teaching. John also has some great advice about finding and maintaining a path as a creative artist. The Dictionary Project is a computer-based collaborative compositional environment. The Bandophone and other invented instruments. NOTE: Obviously, this is not John Roach, but he turned me on to this fascinating documentary about the work of Max Eastley. Made in 1986, it features sequences of sound sculptures in natural settings, plus Eastley accompanying them in the studio. It also includes extracts from performances of 'Whirled Music' (with Steve Beresford and David Holmes), a sequence composed jointly with David Toop and Kazuko Hohki, and a duo with Evan Parker in a cave in Devon. This episode features an in-depth and personal conversation with poet Patrick Phillips. We discussed two of his collections of poetry, Elegy for a Broken Machine and Boy. We shared deeply personal reflections about the experience of being a father (a new father, in my case), made some connections about the mortality of our own fathers, and how these (and other) life experiences find their way into creative work. Patrick also has wise and timely advice for living and sustaining a creative life. You can explore Patrick's work and keep up to date with his readings, etc. on his website (above). A few of his poems are available on the Poetry Foundation website. Below are links to the two collections we discussed on the podcast. 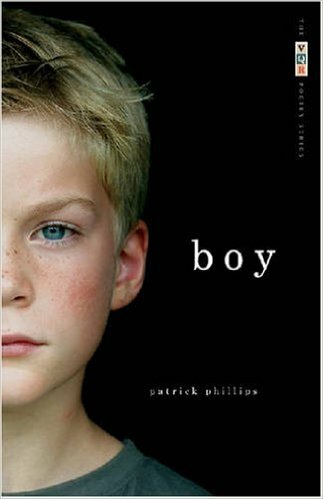 Also, a sincere thanks to Brittany Morrongiello at Knopf for introducing me to Patrick's poetry! Artist Sonja Hinrichsen examines urban and natural environments through exploration and research. Her work manifests in immersive video installations and, what she calls, interventions in nature. We talked about her large and ongoing participatory project, Snow Drawings. We discussed the intersection of place and human perception, especially as it relates to the American West. Sonja also had some great advice for living and sustaining a creative life. Artist Mark Lee Koven embraces an interdisciplinary and multi-media approach to art making. We talked about some of his recent work, which explores anthropological behaviors, data collection/visualization and renewable energy. He is an artist engaged in finding out how art can become a component of real world applications and problem solving. You can watch out a video about A Stone's Throw here. Based in LA, P. J. Evans is an actor, writer, and director. We talked about his journey as a creative person--from a stint as a punk rock musician to various projects as an actor on stage and in television and film. He also has some great advice for living and sustaining a creative life. You can see many of his creative projects on his YouTube page. Make sure and check out the hilarious web series from a few years ago: Nightlife. This episode features a conversation with calligrapher, painter, Zen scholar and writer Kazuaki Tanahashi. We talked about his one-stroke and Zen circle paintings and the intersection of Zen and art. Kazuaki was born and trained in Japan and active in the US since 1977. His work has been featured in numerous exhibitions, workshops, and conferences worldwide. He has authored and edited many wonderful and important books including Essential Zen and Brush Mind. He has contributed several important translations of Zen texts including The Essential Dogen: Writings of the Great Zen Master. His latest book on the Heart Sutra is published by Shambala Publications. Kazuaki is also a peace worker. You can find out more about his peace work on his website and here. This episode features my conversation with award winning composer (and long-time colleague at Sam Houston State University) B. P. Herrington. He joined me in the home studio to talk about his recent music and performances, growing up in the Texas Big Thicket and the musical influences of Pentecostal church music. He also has some really great advice on living/sustaining a creative life. His music has been performed by groups including the London Sinfonietta, the New York Youth Symphony, and the BBC Singers. Awards include the Royal Philharmonic Society Composition Prize and the Morton Gould Award from ASCAP. As we discussed on the show, his music was recently selected for performances at the American Composers Orchestra EarShot Reading program by the Berkeley Symphony, June in Buffalo, and the Wellesley Composers Conference. You can hear a longer excerpt of Tony Arnold performing "Hast'ning Home" on her website. The performance is from the Wellesley Composer's Conference, 2013. This episode features a conversation with percussionist Allen Otte, a founding member of the Blackearth Percussion Group and the Percussion Group Cincinnati. Allen was a former teacher of mine at the Cincinnati College-Conservatory of Music, where he has taught for over 30 years. He continues to be a source of inspiration, mentorship, and deep friendship. Recorded in my home studio, we chatted about his associations with composers John Cage, Herbert Brün, and Frederic Rzewski, the history of percussion music in the US, the role of an artist, living and sustaining a creative life, and socially conscious music. The Percussion Group Cincinnati recently released a recording on Mode Records featuring some of the early percussion music of John Cage. You can see more videos of PGC on their YouTube page. Here's an excerpt of Allen's performance of a the work written for him, "The Fall of the Empire," by long-time collaborator Frederic Rzewski. (The entire work is available on YouTube.) You can also read an interview I did with Allen about Rzewski's work and socially conscious music: 21st Century Music. Finally, here is Allen's version of Herbert Brün's graphically notated percussion work, "Touch and Go." This episode features a conversation with prolific Chicago-based multidisciplinary artist Eric Leonardson. We chatted about his work as an instrument inventor/improvisor, his history with experimental theater in Chicago, and acoustic ecology. Here's a great video of Eric introducing his instrument, The Springboard. Details on World Listening Day (July 18, 2015) can be found here! Texas filmmaker Stephen Beyleu discusses his background, influences, and working as an independent filmmaker in Austin, Texas. Topics include the making of his first feature, Dig; his new film in pre-production, The Father; digital vs. practical effects; and his interest in shooting on film. Support Stephen's new film, The Father. You can support the distribution effort for this film here. Based in the San Francisco Bay Area, instrument designer/builder Tom Nunn has had a long career of creative music making. We talked about his instruments (the Skatchbox, the Crustacean, and the Sonoglyph), considerations for instrument design, and free improvisation.